The engineering services offered by The Salamone Group are broad in scope and encompass the complete planning, design and building operation process. Our office is aware of the latest codes and regulations pertaining to any systems we design. We incorporate our expertise and professionalism into every project, while understanding our Client’s desires and needs. The Salamone Group has provided Mechanical Engineering services for Clients all over the nation. Our office continues to learn and experience new mechanical technology, with higher efficiency, to better serve our Clients and our surrounding environment. The Salamone Group has provided Electrical Engineering services for a wide-range of Clients. With energy consumption being a main concern in everyone’s mind, we intricate electrical engineering services that focus on energy savings for our Clients. 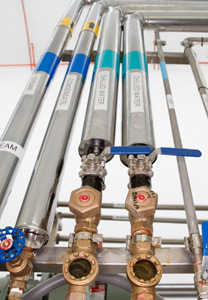 The Salamone Group has provided Plumbing Engineering services for various types of Clients. We ensure our design will not only work now, but will continue to perform and be up-to-date for many years to come. This ensures an effective and valuable system for our clients. The Salamone Group has provided Fire Protection Engineering services for various types of Clients. Our office is experienced from wet to dry chemical systems used in a variety of facilities and environments. We are knowledgeable with all the current codes and know how to work with the respective officials to ensure a correct and safe surrounding for our clients. The Salamone Group is dedicated to promote a better environment by utilizing the latest Green Technology and resources in projects undertaken by our firm. We look towards the future and for an improved tomorrow. The Salamone Group provides a variety of engineering services that is attribute to our staff of engineers and design professionals. Our firm provides services that range from roofs, building envelopes, and interior renovations to site and vertical transportation design.